Barry Coburn was a regarded as a bit of whizz kid at the tail end of the 1960s when he replaced hit-maker Ron Dalton as A&R manager at Viking Records, having been poached from Philips. Viking’s owner Murdoch Riley set him up in his own Ventura label in 1969, but despite signing the newly solo pop star Chris Parfitt (Hi-Revving Tongues), he left both Riley and Viking in 1970 and the label folded. Coburn moved into promotions including the famed 1972 Ngāruawāhia Festival. His next record label, in partnership with co-promoter Robert Raymond, was the short-lived Down Under Records, distributed via Pye, notable for the second album by Ticket Let Sleeping Dogs Lie. However, it was Coburn’s third label, White Cloud, which would have the most impact, primarily because of one album. White Cloud had only six releases: One by Beech, a country rock band briefly popular in Auckland, headed by Brent Parlane who would go on to a stellar country career in Australia; one solo by Parlane himself; a single from Rockinghorse (who later recorded two albums for EMI); and three by a quirky band called Split Enz. 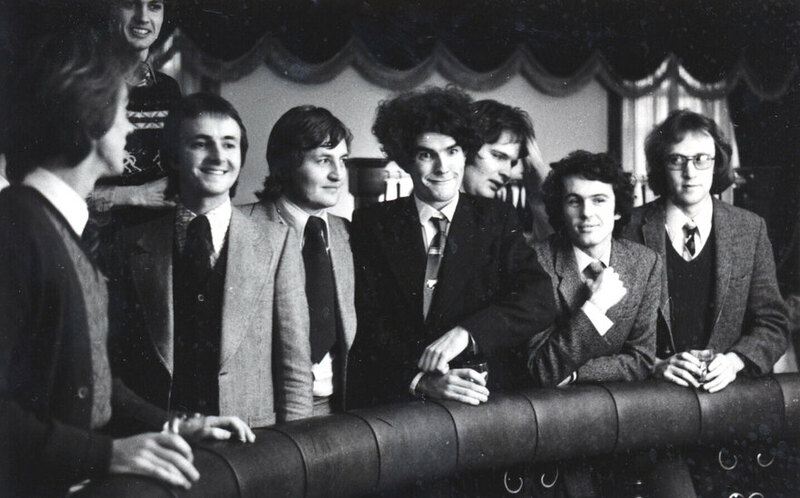 Enz were at this stage of their career managed by Coburn (who also managed Beech) and thus their debut album was released on his label, after a couple of earlier singles on Vertigo and EMI. White Cloud was the first label to use the "Enz" spelling on a single, 'No Bother To Me', (WC002) released in March 1975. Coburn explained the need to start the White Cloud label to Hot Licks (May 1976): “We used to make records under Coburn Music and lease them to whatever company we felt was offering a suitable arrangement. White Cloud was born out of the fact that we could never get a suitable arrangement with any company. We had a deal with Pye. I get on well with them. 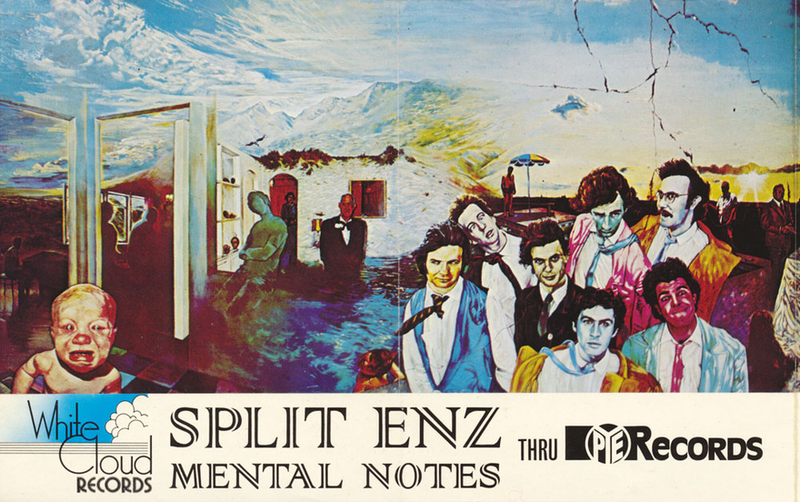 Released in August 1975, Mental Notes was hugely anticipated in the Auckland underground scene and sold extremely well, becoming the local album that simply had to be in every collection in the mid-1970s. However, Mental Notes was recorded in Australia where the ambitious Enz had signed directly to Mushroom Records and thereafter they recorded exclusively for that company worldwide rather than White Cloud. It would become the only album release for Coburn’s White Cloud label – but a hugely important one that changed the face of NZ music forever. 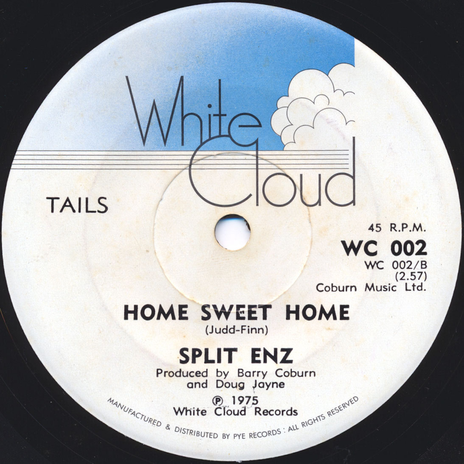 Like Down Under, White Cloud was distributed by Pye and when that company ceased trading at the end of 1976, Mental Notes was thus deleted, remaining unavailable in New Zealand for most of the 1970s until Festival acquired local rights from Coburn and reissued it in 1979 on their Interfusion label. Shortly thereafter the NZ rights passed to Mushroom where it has sat ever since (now owned by Warner Music). Barry Coburn went to Nashville where he became a very important name on the local country scene, but that’s another whole story.